On the outskirts of Houston, Texas, there is a needlework store called 3 Stitches. 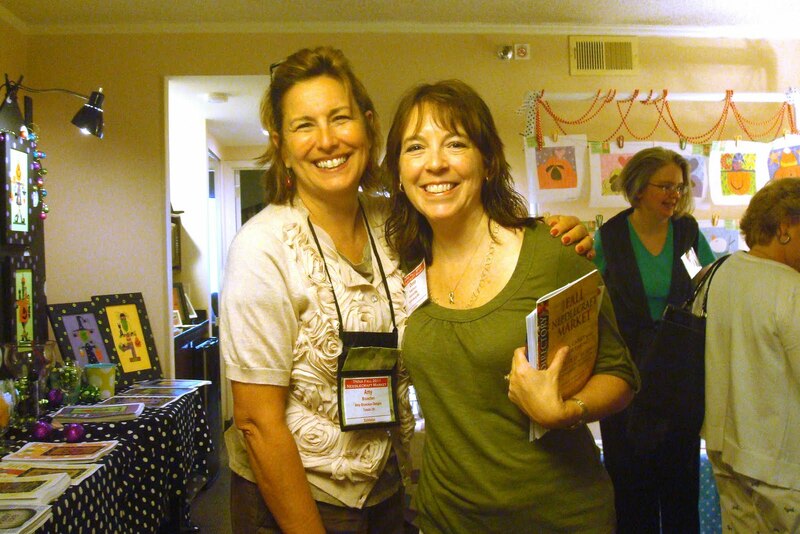 We love seeing store owner Pamela Brazell at the TNNA trade shows every year; she is friendly, fun, red-haired, southern-talking, and a smart business owner. After all of these years, we finally asked her, "What are the three stitches in the name?" See the interview below for the answer. 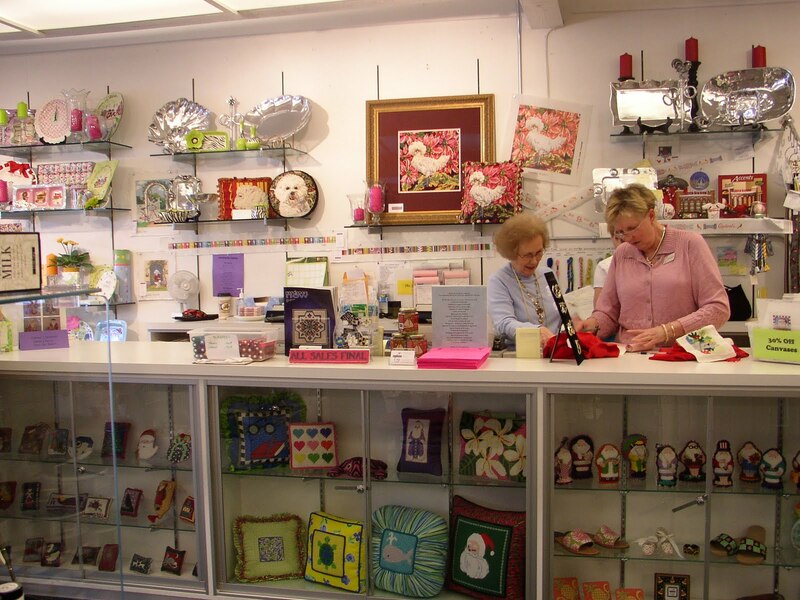 Get to know this well-stocked needlework store with a fabulous mission: "We want everyone to know all they can about the needlework world." 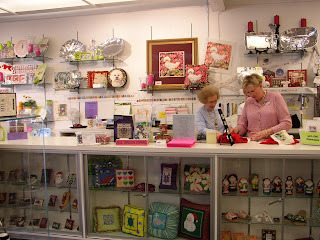 If you are in Spring, Texas, stop by to pick up your Kreinik threads, embellishments, and other needlework goodies. Live elsewhere? They also do mail order, sell on their web site, and on www.kreinikmall.com. Q: What is the story behind your store’s name? PAM: "3 Stitches" refers to 1. work, 2. hands, and 3. heart. You give of your hands and work with your heart to do needlework. Q: Do you have a shop specialty? The photos on your web site show lots of cross stitch and needlepoint designs. 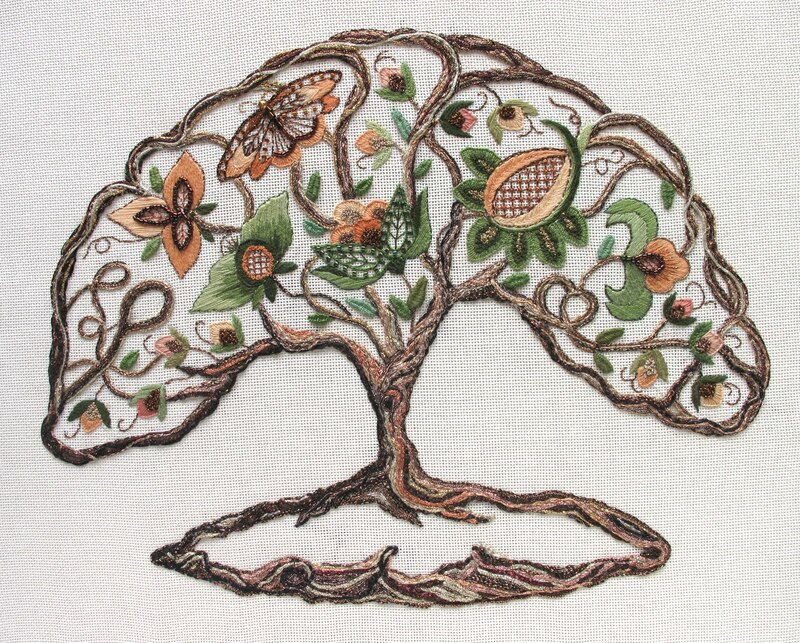 PAM: We focus on needle arts including cross stitch, Hardanger, needlepoint, silk ribbon, pulled and drawn threads, and embellishment classes. Q: Tell us about some of your staff. Who would we meet when we come into the store? 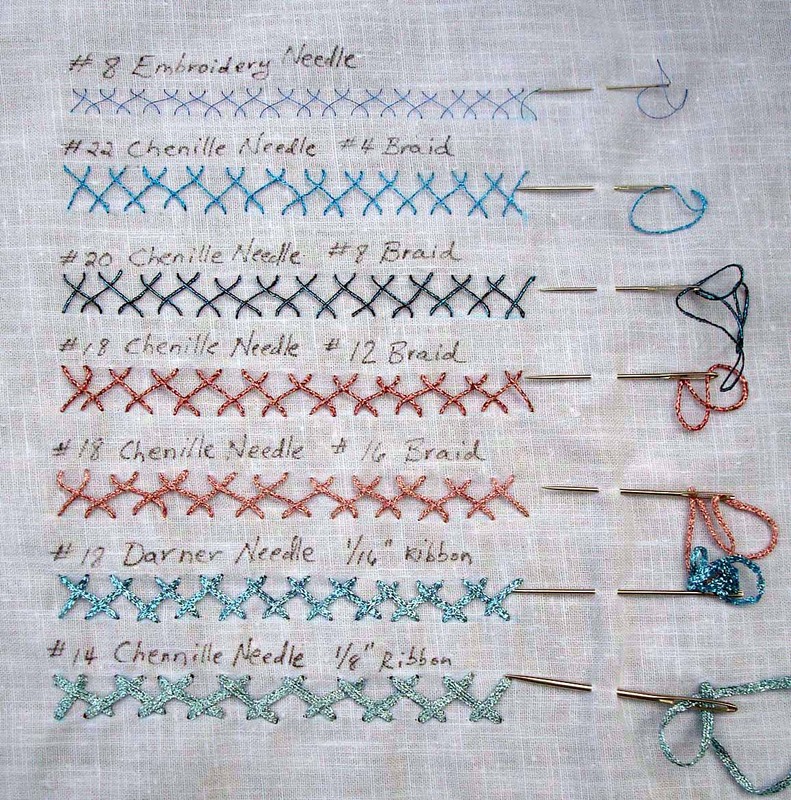 PAM: Come and meet the "SAPS" of 3 Stitches – that is, the Stitching Aide Problem Solvers. They will greet you with a friendly hello and welcome you into Stoneyville. Stoneyville is what the inside of the shop is called because Stoney (a grey mouse with big red ears) sits on the bench above the cabinets behind the 20-foot counter. He is the chief and boss of the store. Should you have any problems he is always here to talk to you as the SAPS are busy working. PAM: Nearly all of them. The ones we don’t carry we will be happy to order for our customers. Q: Do you also sell online, or through mail order for stitchers who may not be able to get to the shop, or don't live nearby? PAM: People can buy from our shop online through our website, mail orders, phone calls, and emails. 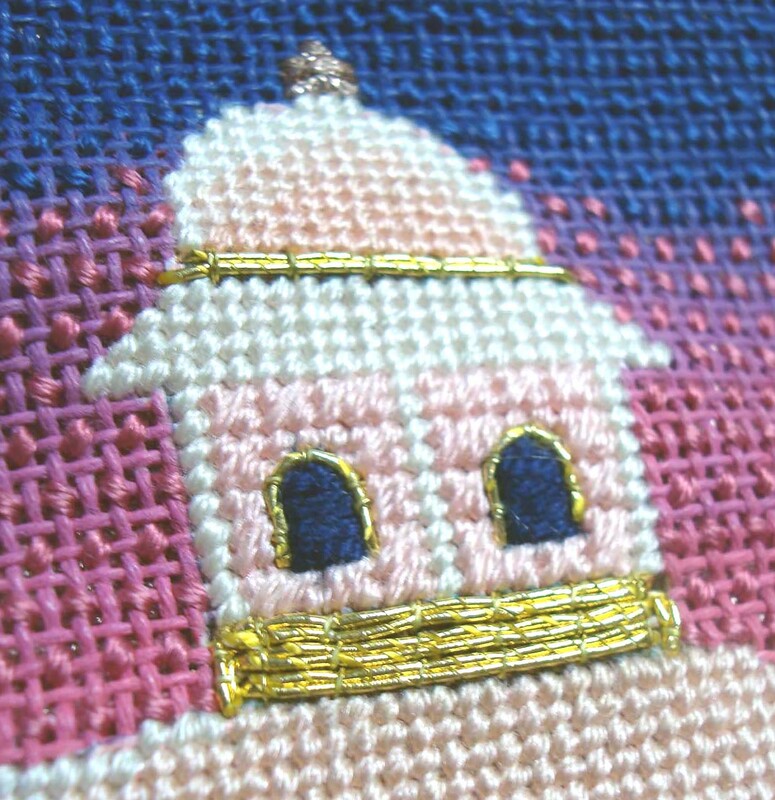 We also participate in Kreinik’s online mall, www.kreinikmall.com. Q: Do you have classes or special events in your store? PAM: We have in-store classes normally on Tuesday and Thursday evenings and Saturday mornings. 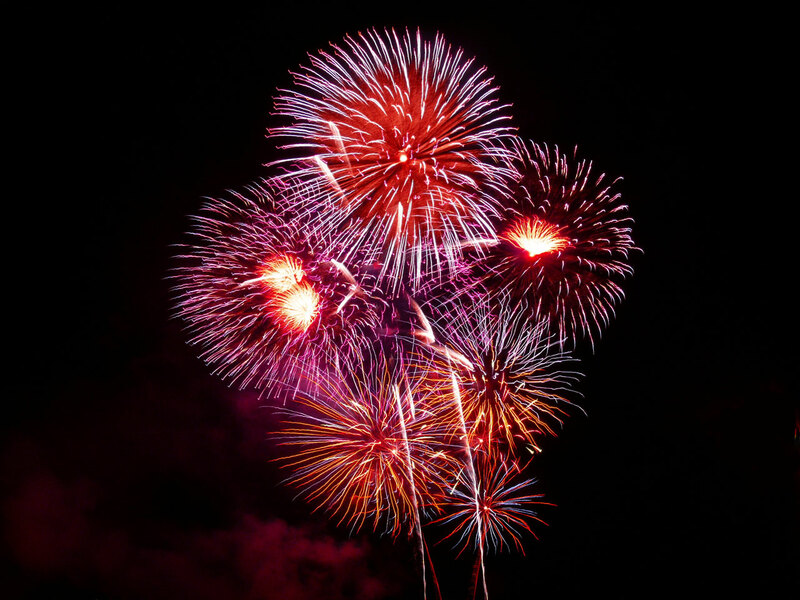 Special events include any event we can think of. We did an Olympic event in the shop with hoops for basketball goals with beads and threads. Saturday, October 1 we are having a Tucson Night. Buy a special glass that was made for the shop and receive a glass of wine. We will be learning how to stitch a Tucson theme chart which includes numerous colors of threads. Where do we start, what color comes next and why, etc. Great fun for all on a Saturday night! We always have one-on-one classes. 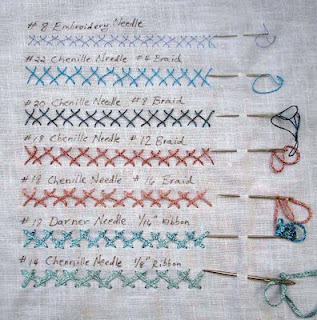 We want everyone to know all they can about the needlework world. PAM: One of our famous people who has been in the shop is Doug Kreinik. 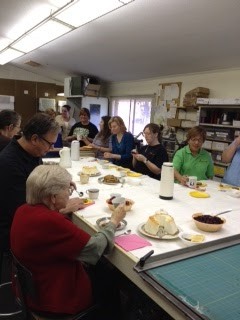 Unfortunately we did not take a picture of him and Rebecca Maron who won first prize in a Kreinik ornament contest. Rebecca (Becky) started working in the shop when she was 17 years old and in high school. Shondra Boring who is an actress with the Arts of Houston Shows is a stitcher. 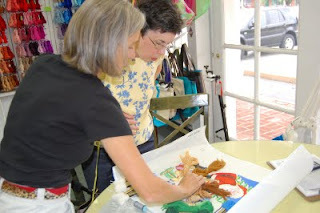 Numerous cross stitch designers have taught classes in the shop. The shop was also featured in the Houston Newsletter under the Sports Section asking my opinion of sports with needlework. 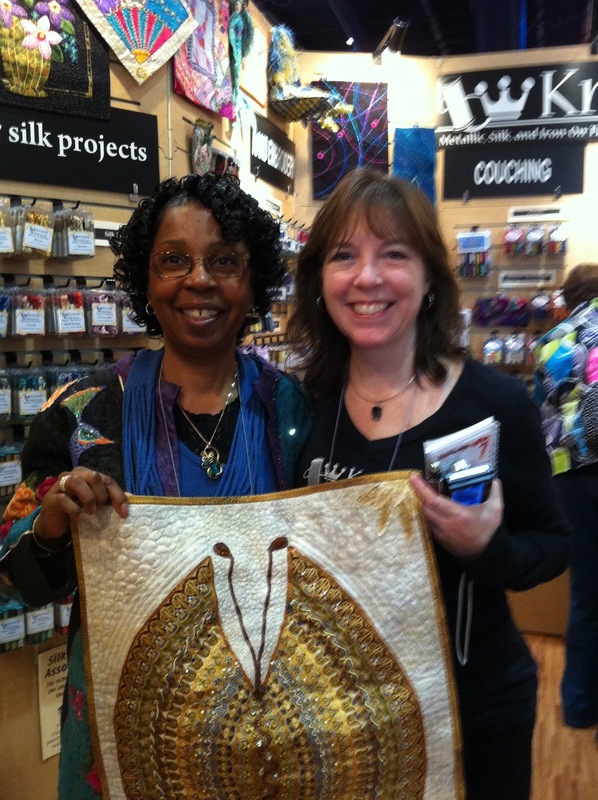 Q: Here at Kreinik, we love to talk about food and restaurants. 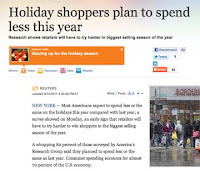 Is there a good place to eat near the store? PAM: A great Mexican restaurant near the shop is La Maria’s. 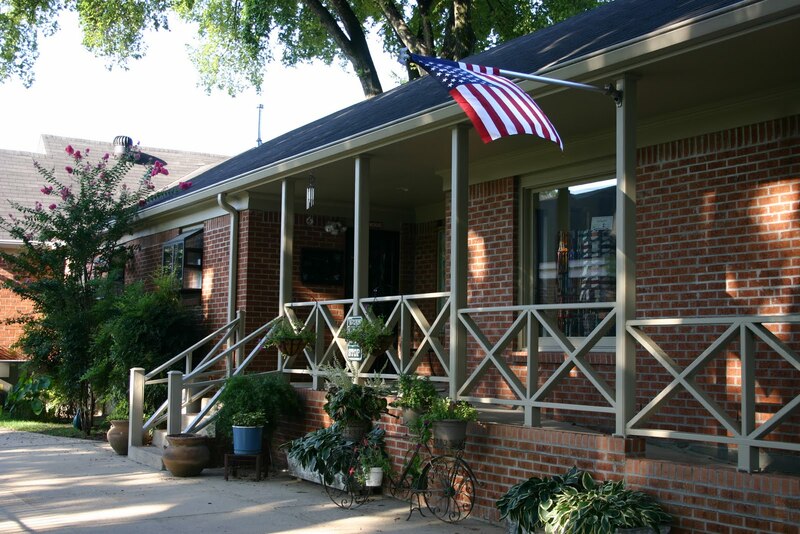 It is a family-owned business with good food. If you are in the area, just call 281-376-3739 and order. Q: What is the best part about being involved in the needlework world? PAM: Being in the needlework business is a great opportunity to meet some of the kindest, most thoughtful people who enjoy the love of the industry. Playing in the threads and pretending to create the design is very rewarding too. Tidbits about Spring, Texas: Jim Parsons, the actor who plays Sheldon Cooper on the CBS sitcom The Big Bang Theory, graduated from high school in Spring. He is one of several actors from the town. MLB player Josh Beckett is also from Spring (source: wikipedia). 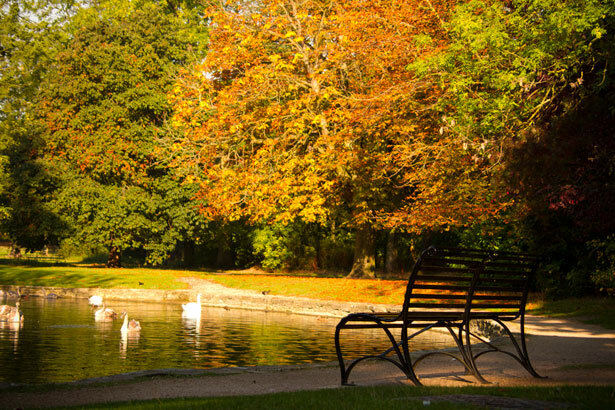 The town got its name in the 1870s when railroad workers from the north arrived in the area; it was springtime and they were just so excited that winter was over (source: www.oldtownspring.com) they named the town Camp Spring. Needle selection is a major contributor to your happiness factor, whether you are hand or machine stitching. Using an incorrect needle will cause a thread to fray, knot, and otherwise misbehave. Many of the problems people have with thread can be solved by needle selection. The problem isn't necessarily the thread, but rather a too-thin needle, a needle with a bad eye, a needle with a too-small eye, or something similar. So "which needle should I use" is a great question. Allie says: As a rule, I use needles with eyes that are larger and shafts a bit thicker than might be needed for regular threads. Because these are metallics, I don’t want any tension to stretch the thread or too small an eye to cause them to fray as I am stitching with them. This also makes for easy threading — you don’t want a fight when you are threading up. 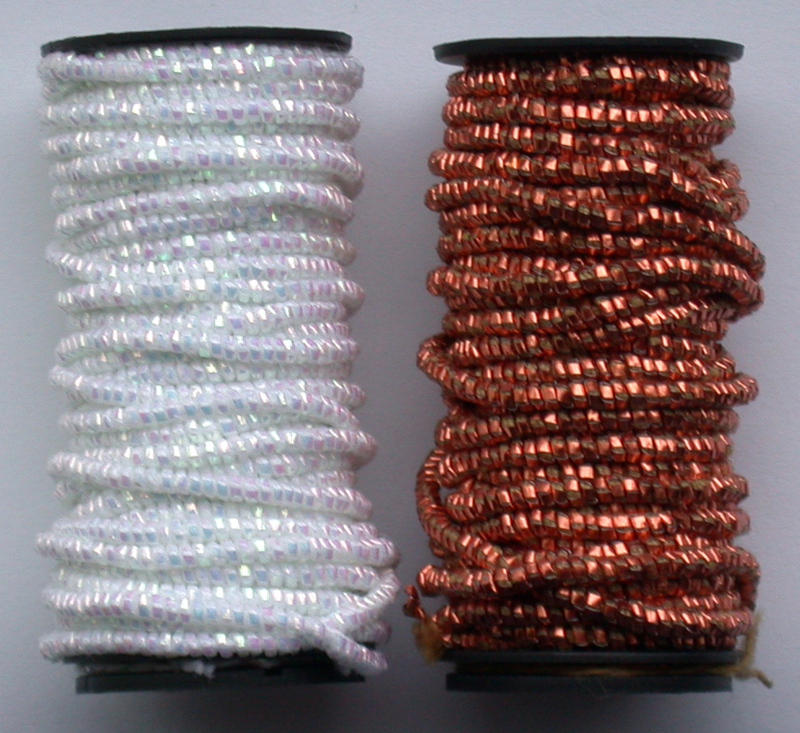 Kreinik Cord—is very fine, but still I use a #8 Embroidery needle. I don’t want any tension to stretch the thread or cause it to fray, so I use a slightly bigger needle than I normally would for this weight of thread. 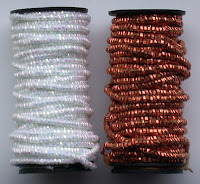 Kreinik Very Fine #4 Braid: #22 Chenille. Again, the eye is larger than needed but the shaft of the needle makes a large enough hole that there is no resistance to the thread. This size needle is easy to thread as well—you don’t want to fight that. Kreinik Fine #8 Braid: #20 Chenille is good for this size. 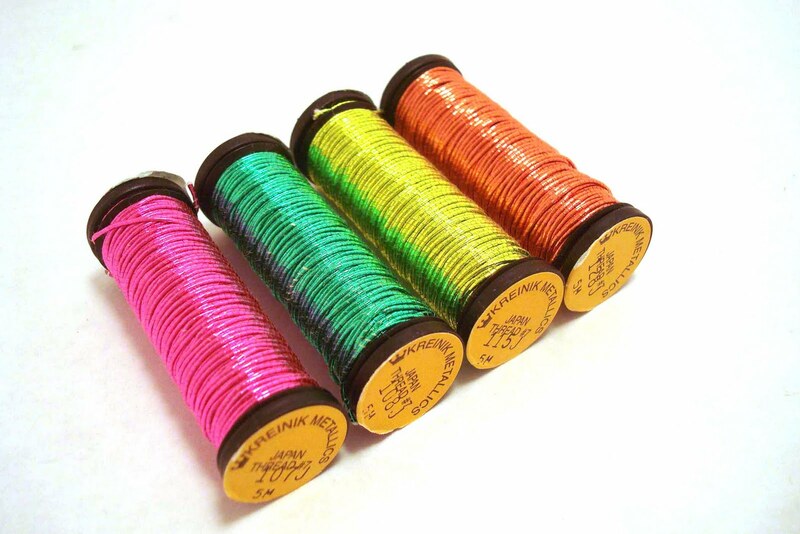 Kreinik 1/16” ribbon: I like a #18 Chenille or Darner. 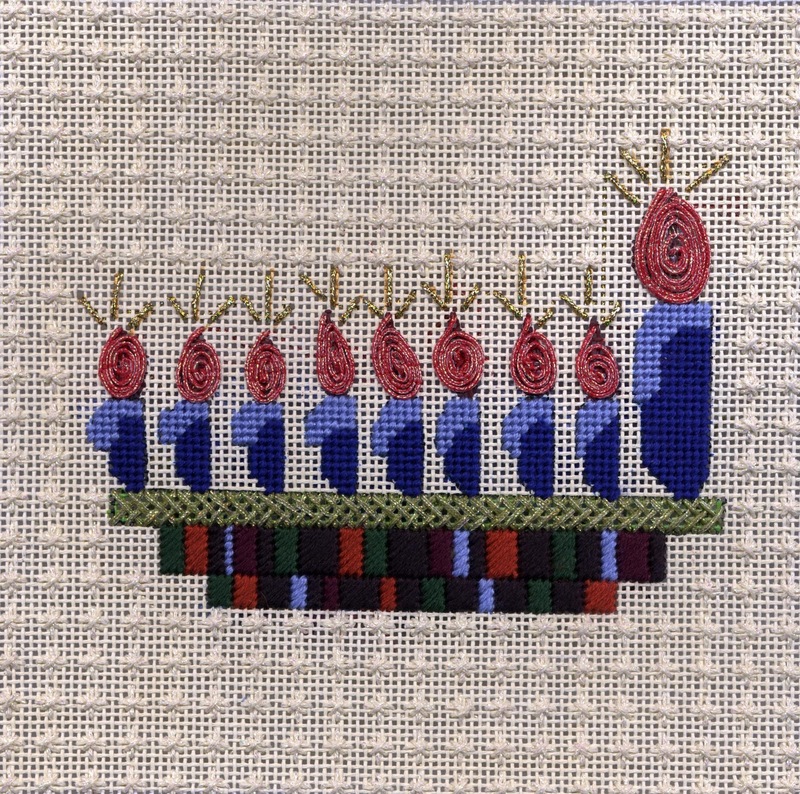 For more info on Allison Aller, visit her blog at http://alliesinstitches.blogspot.com/ or check out her new book from C&T Publishing "Allie Aller's Crazy Quilting: Modern Piecing & Embellishing Techniques for Joyful Stitching." After my wife Myla came back from a quick California trip where she was helping with preparations for our daughter’s upcoming wedding, we took a little “spa-cation” to Berkeley Springs, West Virginia. 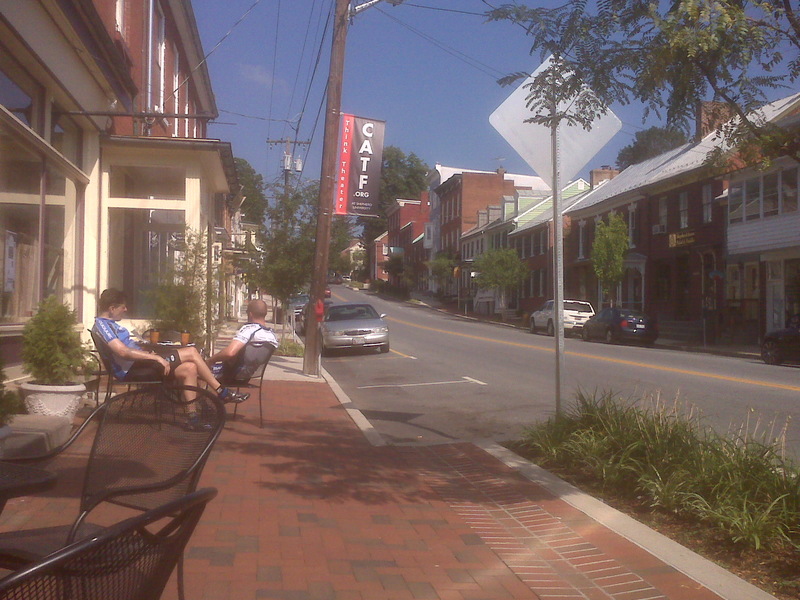 This spa town of 500 people is the oldest spa in the US. 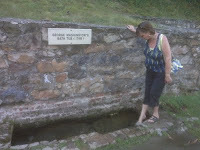 When folklore says George Washington slept somewhere, well, here he actually did. 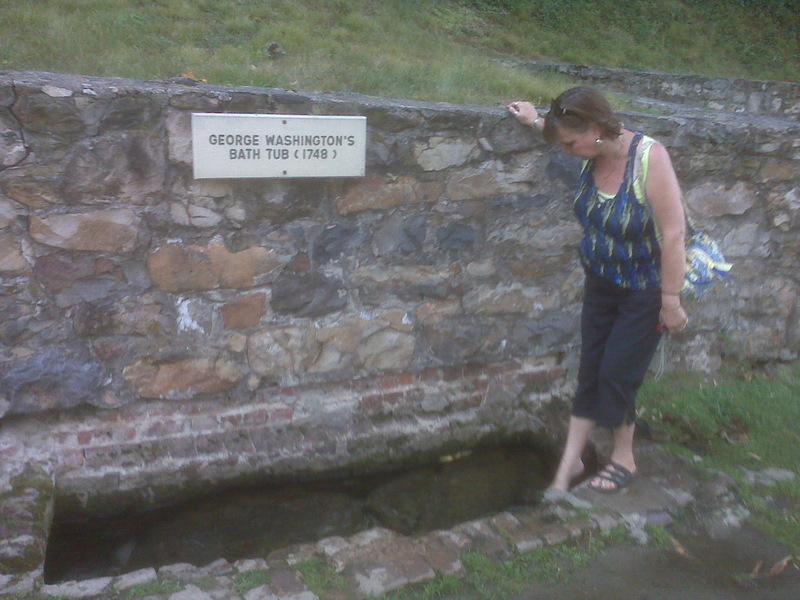 There is even a “George Washington bathtub” on the park property. We enjoyed massage and acupuncture at a spa in Berkeley Springs. My back has hurt for years from an injury received during my retailing days. We went to Awakening where Lin Wang, a Chinese medicine doctor, needled me over a two-day period. This acupuncture, mixed with massage, made me feel like Jello. I was rather relaxed. 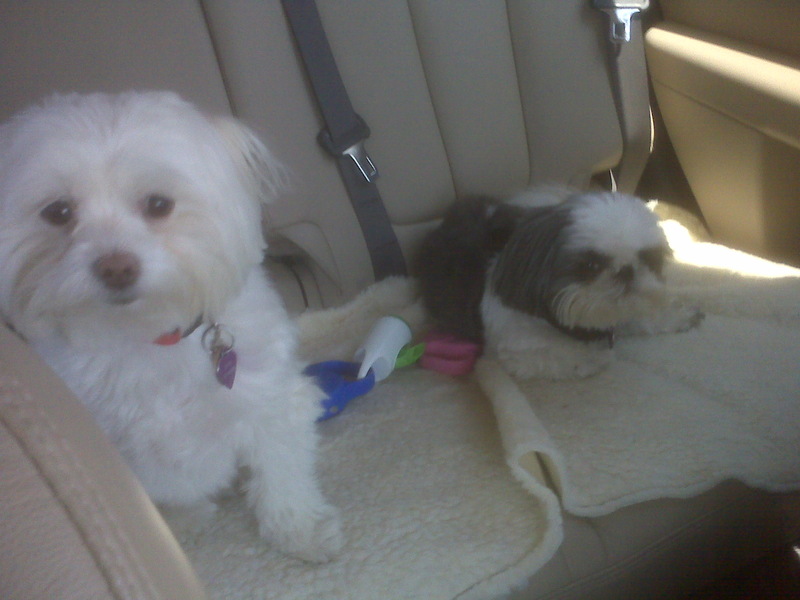 On this mini vacation, we took our dogs with us for the first time. Sophie and Tucker were well behaved, slept on the bed at night and walked more than they have ever walked. Tucker, the Shih Tzu, would simply stop and sit down while walking, for he tires easily. Apparently, he likes to be carried. 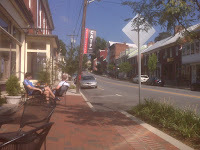 The next town we visited was Shepherdstown, West Virginia, which is along the Potomac River. We found it to be very dog friendly and charming. Shopowners invited us into their stores and even outdoor restaurants with the dogs. One of my favorite restaurants was the Blue Moon Café where we sat outside and listened to a very fast moving stream running through the center of the garden. Amazingly, the dogs did not bark at the other dogs and cats who were also visiting the garden. 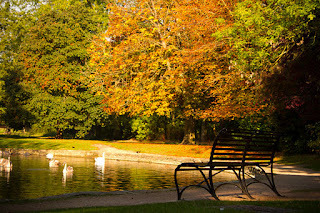 We were all very relaxed in the refreshing setting. Every summer in Shepherdstown, which by the way is the home of the first steamboat, there is a theatre festival along with arts and craft exhibits with potters, jewelry makers, wood workers, painters and weavers. For history buffs, it is just a few miles from Harpers Ferry, Antietam, and the C & O canal. We plan to go back in the future to explore this Eastern Panhandle of West Virginia. For now, it’s back to work for a few weeks, and then our daughter’s wedding in August. Summer certainly is for travel, fun and family. What is a Japan Thread? 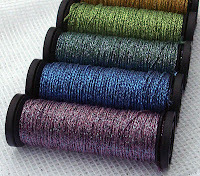 We recently introduced four fabulous new colors in Kreinik Japan #7 thread. 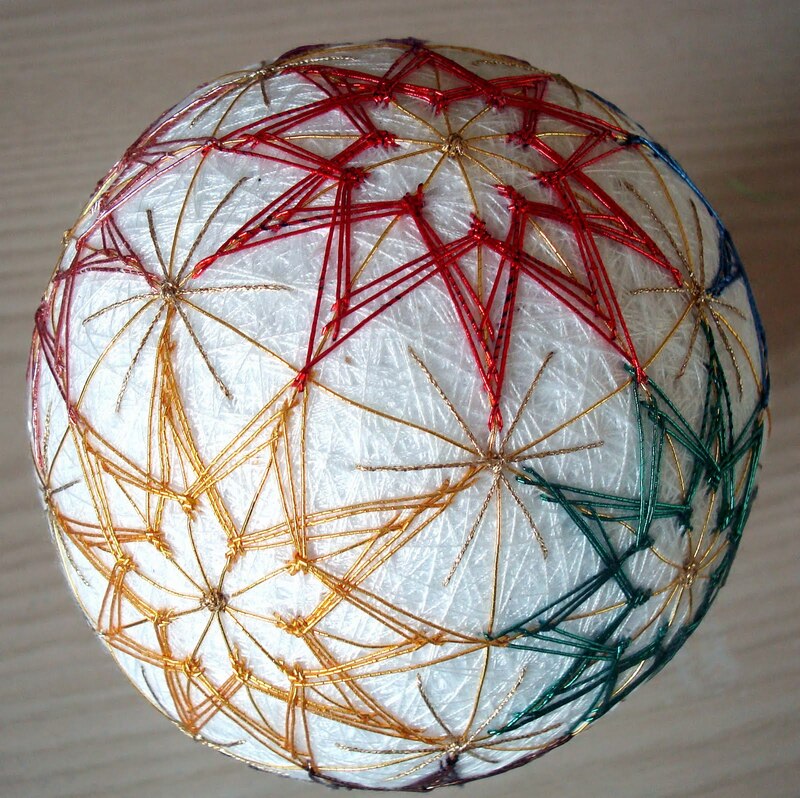 That prompted a few questions, such as: What is a Japan Thread, and how do you use it? A Japan Thread is a gimp, meaning a wrapped thread. Historically, Japan Threads began with gold, silver and copper pounded down to a thin leaf, then wrapped around a core fiber and couched on fabric for surface embroidery embellishment. 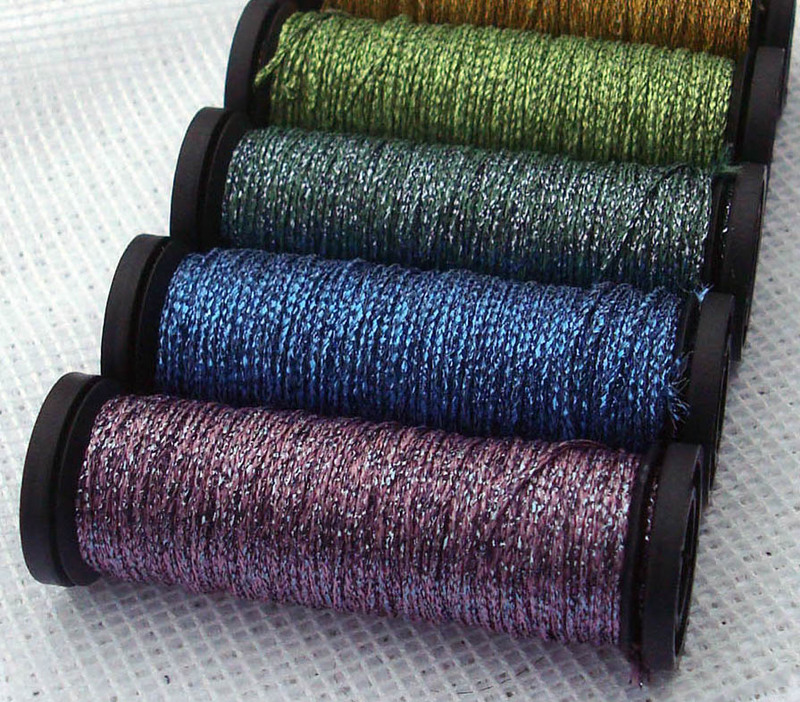 Today Kreinik makes Japan Threads that have a percentage of real metal in them, but are primarily synthetic so that they are long-lasting, non-tarnishing, inexpensive, and easy to use. They have a beautiful, bold, bright finish that resembles real metal. How do you use a Japan Thread? Since it is a wrapped thread, needleworkers couch it onto a fabric or canvas rather than stitch in and out of the ground material. Couch with a coordinating color of very thin Cord, filament, or Japan #1 size. For interest, couch with a contrasting color of silk thread; just think of the beautiful patterns you can create. Barbara V: I love adding Japan thread to my crochet yarn for that subtle sparkle. Though other times I do a surface crocheted slip stitch to add some glitz when the piece is almost finished. Beth V: I love these colors for my canvas work! Suzanne W: I think these would be awesome in a halloween needlepoint! 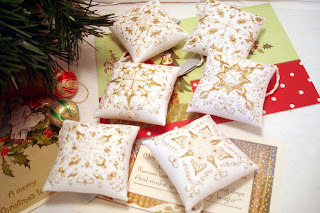 Cindy W: Love adding color and sparkle to my cross stitch pieces. Carleen M: They would make spring flowers sparkle in an embroidery project! DeAnn C: Ribbon Candy Stripes!!!! 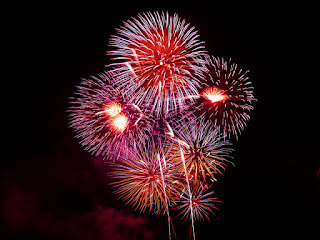 Terri P: Definitely would use in a modern-styled personal sampler -- to add both drama and light to the story of my life! Robin B: accents in crazy quilting embroidery! Julie O: I'd like to use it as an accent in both my crochet and cross stitch. It would be gorgeous used to accent a pair of my daughter's capri's too! 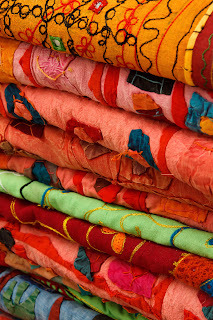 Linda K: Beautiful colors...look delicious, would use in canvas embroidery. Am designing my own these days and would love to try them in my newest floral design. Jane W: I would use some of the colors in a border. Wouldn't that be a marvelous finishing touch? Carol Y: I've got an abstract needlepoint canvas awaiting just this type of thread! Love them! Want to stitch with them! 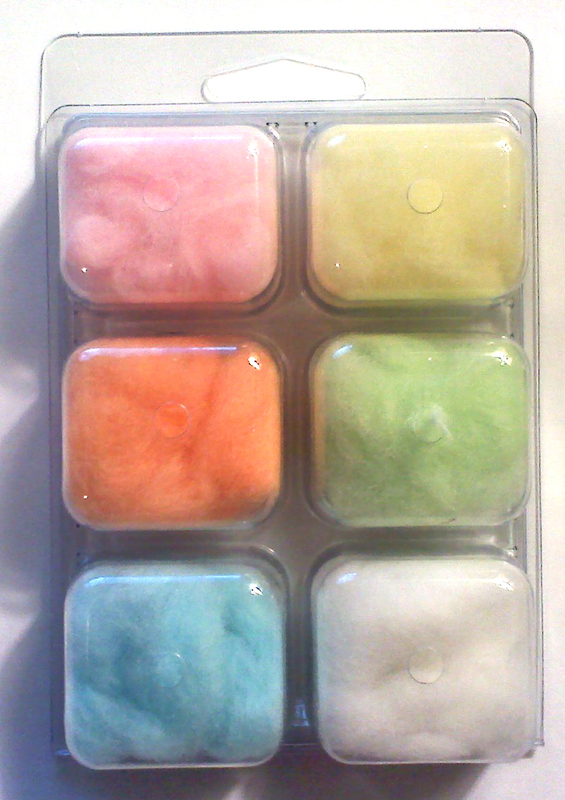 Doris D: I would blend floss and/or replace floss with Japan Threads to make my stitching projects stand out!! 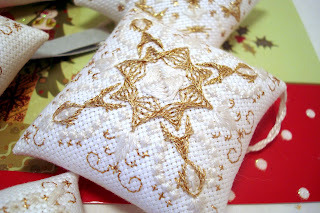 Connie T: I would use it with my cross stitching to give the piece some dazzel. 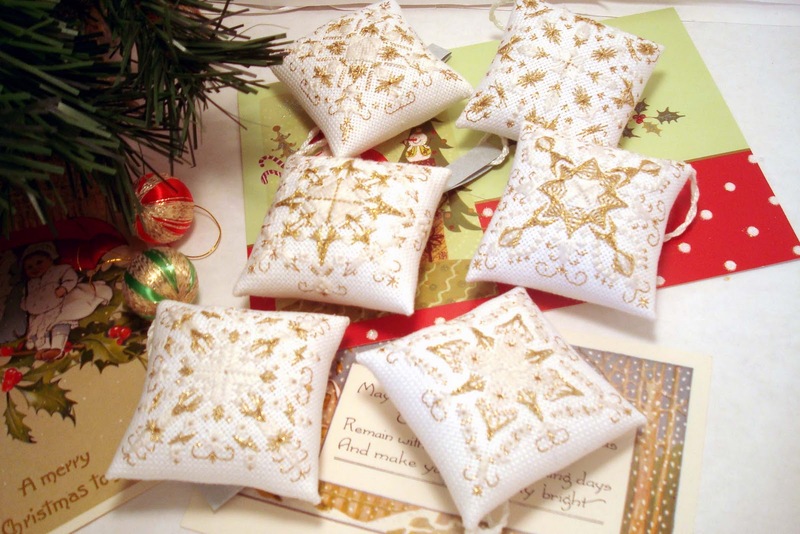 Cheryl S: I would use these threads on my Christmas ornaments that I needlepoint to give them that extra pizzazz. I have in fact already used the Kreinik Japan Gold in several of my ornaments and would really enjoy using other Kreinik Japan's bright colors in my needle pointing. 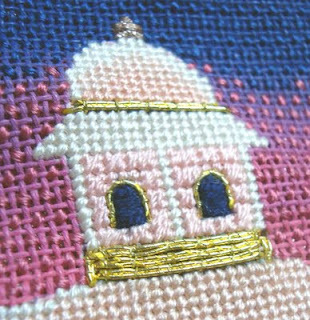 Bev F: My family calls my using Kreinik threads in all my cross stitch -- "bev-ing it" --Cause I like sparkle and shine. Laura B: I would couch these threads to show off their true beauty, simply anchor them down in an ornate monogram for gifts to family and friends. Dee C: I would highlight my stitches enhancing my project! I love using Kreinik!!!!!!! We love the word "illuminate" to describe why you would use a metallic like Japan Thread in needlework; the beautiful color and metallic sheen adds so much interest to a project. Have fun and experiment with these threads. 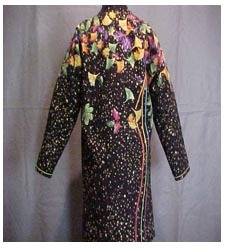 To buy Japan Threads, visit your local needlework store, your favorite online store, or www.kreinikmall.com. Join us on Facebook to share ideas, photos, thread give-aways, and behind-the-scenes news from Kreinik. Click here to friend us on Facebook.